Colorado Cellars is a family owned and operated winery, so winemaking here is truly a way of life. We grow our own grapes and fruit, keep bees for honey wine, personally make and bottle our wines – even deliver it ourselves. We are unique amongst Colorado wineries in that we are – and have always been – exclusively in the wine business… no second jobs, second incomes, or second careers. That complete commitment to an uncompromising desire for quality is the key to our long term success! 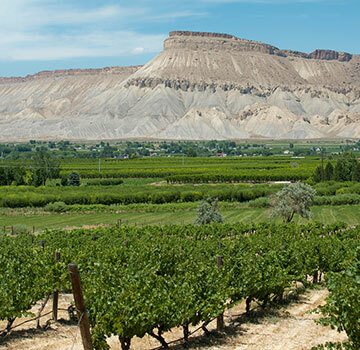 Colorado Cellars Winery is Colorado’s oldest, largest and most award-winning winery. Founded in 1978 as Colorado Mountain Vineyards, today’s brands also include Rocky Mountain Vineyards and the Orchard Mesa Wine Company. Today we continue to sell wines made under Colorado Winery License No. 5, the state’s oldest license still in existence!